SIQ Can beetles be researchers? John Ososky, museum specialist at the Smithsonian's National Museum of Natural History Osteo Prep Laboratory answers: Can beetles be researchers? British beetles: an introduction to the study of our indigenous Coleoptera. By E.C. Rye ..
Vol. 4 has series title: The Fauna of India, including Pakistan, Ceylon, Burma and Malaya. Good parents protect their babies from danger, feed them and teach them the ways of the world. This is exactly what carrion beetles—a group of insects that feast on decaying flesh—did some 125 million years ago. 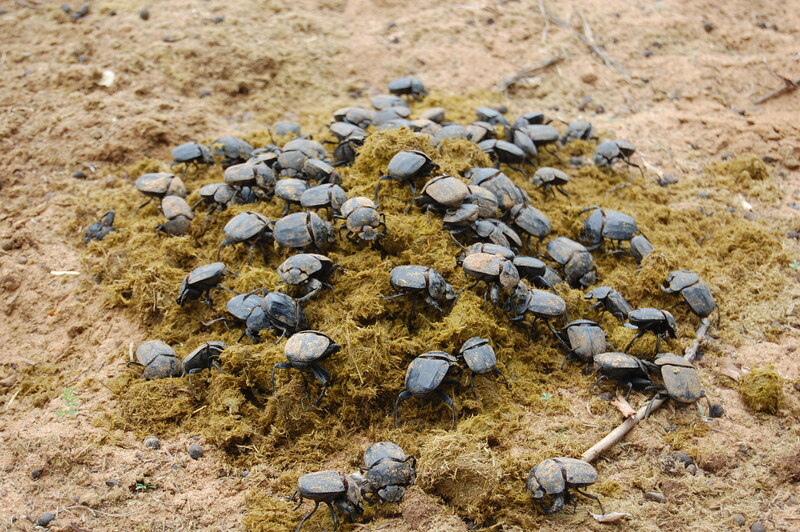 According to new research published in the Proceedings of the National Academy of Sciences, not only were the beetles exceptional parents, but they also represent the oldest known example of active parenting on the planet. Finding traces of exceptional parenting in the fossil record is exceedingly difficult. In this case, the team managed it by studying fossils from China and Myanmar. The fossils showed that ancient beetles from the Early Cretaceous possessed special bodily structures close to those modern beetles possess that allow them to communicate with their young. Additionally, an amber fossil they uncovered caught the beetle parents in action, showing "elaborate biparental care and defense of small vertebrate carcasses for their larvae." For all of their attentive care throughout the ages, however, parental love might not be enough. Several modern carrion beetles are endangered, the team reports. The American burying beetle, for example, is down to fewer than 1,000 individuals that live east of the Mississippi River. Even the most experienced parents in the world can't shield their babies from the ill-effects of human-driven habitat fragmentation, it seems. It’s a matter of perspective: Depending on whether you like insects or not, this new beetle biobot could be awesome or an instant nightmare machine. Regardless of your feelings on the creature, this little cyborg beetle may one day help in search and rescue missions or spy on terrorists. Researchers from the University of California, Berkeley, and Nanyang Technical University in Singapore made the bot using a giant flower beetle, Mecynorrhina torquata—a 2-inch insect native to Africa. The team outfitted the beetle with a backpack containing a 1-cm square microprocessor, which they attached to the beetle's shell with beeswax. Electrodes from the backpack are connected to the beetle’s optic lobe and flight muscles, allowing an operator to stimulate those muscles via radio control, causing the beetle to take off, change direction during flight, or hover. The beetle has been making test flights for over a year, but new tweaks to the system, outlined this week in The Journal of the Royal Society Interface, allow the operators to control the speed and gate of walking beetles, meaning they could be used for terrestrial drone work as well. But the most intriguing part of the paper is its discussion of the way insect drones could perform better and cost less than mechanical drones. “Insects are just amazing fliers compared to anything we can build at that scale,” Michel Maharbiz, an electrical engineer at Berkeley who is also working on the project, tells WIRED. The “biobots” are also easier to handle than mechanical drones. Users can let nature take its course rather than constantly monitoring and tweaking man-made drones that might hit objects or lose altitude. Beetles control all that naturally. “By sending a signal to the beetle, we are able to simply change its direction of movement and the beetle will manage the rest,” Hirotaka Soto, one of the leaders of the project, says in a press release. Currently, the beetle backpack operates with a 3.9-volt micro lithium battery, which lasts roughly a day. But Sato says in the future, the backpack could be powered by environmental sources, like ambient radio waves. Work on improving the insect drones is ongoing, but Sato points out in the paper that learning how to control the beetle's legs “will significantly contribute to the future development of animal-computer hybrid robots,” saying that in the future dragonflies and cockroaches could be given similar cyborg treatments.